Ruvimbo Tsopodzi took her case all the way to the country’s highest court. Ruvimbo Tsopodzi was just 15 when she was forced into marrying a man she hadn’t chosen. Within four months she was pregnant, and her new husband was abusing drugs and alcohol. Her story, tragically, is not dissimilar to the stories many girls in her home country of Zimbabwe — where 1 in 3 girls will be married before she turns 18. “My experience was painful. I was made to sleep outside when I was pregnant,” said Tsopodzi in an interview with Southern Africa HIV and AIDS Information Dissemination Service (SAfAIDS). “I realised my life was headed for disaster,” she added. “I got the courage to go and face my dad and present my situation. I grew up wanting to be a nurse, and my desire is to live the life I wanted than what you are forcing me into. First, she persuaded her father to let her continue her education, and to follow her dream to become a nurse. She joined an organisation called Roots in 2013, a member of the global network of anti-child marriage organisations Girls Not Brides. Roots partnered with a legal think tank called Veritas, an organisation campaigning against child marriage that was looking for girls to take their cases of child marriage to court. That’s how, in 2016, Tsopodzi and and another woman, Loveness Mudzuru, launched their fight for the rights of all girls in Zimbabwe. As it stood at the time, a child of 16 or older could get married with their parent’s consent. But Tsopodzi and Mudzuru appealed to the highest court in Zimbabwe — the Constitutional Court — to amend the country’s Marriage Act. Incredibly their appeal was granted, and the court declared existing legislation unconstitutional and recognised 18 as the minimum age of marriage, in line with international standards. 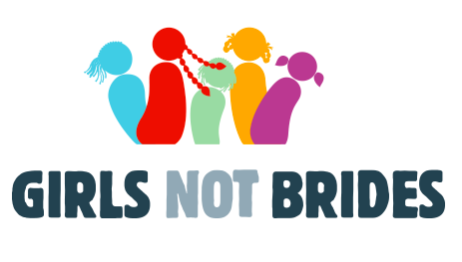 It marked a significant step towards ending child marriage globally. Zimbabwe had already made child marriage illegal in 2013 when it adopted a new constitution setting the minimum age of marriage to 18 and calling on the state to ensure that “no children are pledged into marriage,” according to Girls Not Brides. Yet the Marriage Act clashed with the constitution’s new provisions by allowing girls as young as 16 to marry with the consent of their parents. Since her legal victory, Tsopodzi has continued her activism, as an ambassador for Roots. Beatrice Savadye, a member of Roots and Ruvimbo’s mentor, reaffirmed the importance of communities coming together to act collectively, and how grassroots action can create a ripple effect reaching policy-makers, national laws, and beyond.